Sofala Ntweng-Knapton is a student attending San Francisco State University currently studying Broadcast and Electronic Communication Arts. Ellen is the Communications and Engagement Manager at KQED Education. She is a marketing and social media maven with experience working with educators and nonprofits in the Bay Area, most notably at Common Sense Media. In her spare time, she enjoys rock climbing, backpacking and drinking too much matcha tea. I use remote technology to work with students in many time zones while they prepare for college. I currently work with TutorNerds in California as an English tutor. Kelley Hutchison is an English teacher at Amador Valley High School in Pleasanton, CA. She currently teaches AP English Language as well as junior and senior literature classes. When she's not asking students "What would Atticus do?" Kelley is usually chasing around her two-year-old son, gardening, or exploring the bookstores of Oakland with her husband, Chris. Rebecca Girard has been a science teacher for over 23 years. She currently teaches biology at Notre Dame High School in Belmont, CA. She is also their EdTech Instigator and works to integrate technology in meaningful ways to engage and motivate her school community. She is passionate about developing student and adult 21st Century learners. She has been honored as a Comcast All-Star Teacher Finalist and a Silicon Valley CUE Outstanding Teacher of the year. In 2015, she received her school's highest teaching honor, the Rosalind Crosby Excellence in Teaching Award, and completed the MERIT program through the Krause Center for Innovation. When she isn't teaching and surfing the web for the latest and greatest tech tools, she loves spending time with her husband and two girls. I was born and raised in the border town of Calexico California. I have been married for over a decade and have three daughters. I earned my bachelors’ degree in Social Science (teaching) from San Diego State University and then a Masters’ Degree in Secondary Education from the University of Phoenix. I come from a family of teachers. Nine members from my family are currently serving as teachers or administrators including my father, brother and wife. I have been a high school science teacher at Brawley Union High School since 2008 where I have taught all of the following subjects: Earth Science, Biology, Chemistry, and Anatomy & Physiology. I hold a clear credential in all of the subjects I’ve taught in addition to social science. I have also served as an Academic Coach (20%) during the 2014-2015 and 2015-2016 school years. In 2013 I earned an award for “Distinguished Teacher of the Year” through the Brawley Chamber of Commerce. I am also a Google Certified Educator. Recently I was appointed as a Board Member for the Heber Elementary School District. Some of my extra curricular activities include coaching, journalism, and public address announcing (sporting events). Crystal Browning teaches English Language Arts in the Multimedia Technology Academy at Monache High School in Porterville, CA. She currently serves as the English Department Co-Chair. She is passionate about creating a safe and loving learning environment through mutual tolerance and transparency. She laughs, cries, and learns alongside her students. You can reach her on Twitter @MrsBteachagape. Dawn Reed is an English teacher at Okemos High School in Okemos, Michigan, and is currently in her 12th year of teaching. She is a co-director of Red Cedar Writing Project at Michigan State University, a site of the National Writing Project. Dawn earned her master’s degree in Writing and Rhetoric with a specialization in Critical Studies in Literacy and Pedagogy from Michigan State University. She conducts professional development for teachers focused on technology integration and the teaching of writing. She is co-author of Research Writing Rewired: Lessons that Ground Students’ Digital Learning (Corwin Literacy 2015) and Real Writing: Modernizing the Old School Essay (Rowman and Littlefield 2016), and has published in various journals, books, and websites. Follow Dawn on Twitter at @dawnreed. Robyn Carter is a faculty member in the English department at Ashford University and also serves as the San Francisco WritersCorp artist in residence at Redding Elementary School. She holds an MFA in Creative Writing from Queens University of Charlotte, and when she is not teaching or developing curriculum, she writes fiction. Her short stories have appeared in Conjunctions, Ninth Letter, West Branch, Colorado Review and other journals. She is at work on a series of guides for middle grade teachers called Writers Read! Bridging the Gap between the Reading & Writing Workshop. Check out Room2Ruminations to see art and writing by her third, fourth and fifth graders. Randy Depew is KQED Education’s Managing Director. An expert in media-based learning and pedagogy in K-12 classrooms, Randy leads the development of KQED education products and oversees the production of professional learning content, classroom curriculum, and media to support those products. Randy spent 20 years as a high school teacher science and digital media arts teacher and teacher leader of a California Partnership Academy in the East Bay focused on college and career readiness where he was the 2001 MDUSD teacher of the year and the 2000 Technology and Learning Magazine’s California Technology teacher of the year. He also spent 16 years as an adjunct faculty member in Brandman University’s School of Education. Randy holds a B.A. in chemistry from U.C. Berkeley, a M.A. in curriculum and instruction from Chapman University, and an Ed.D. in organizational leadership from Brandman University. Kimberley Campisano is a San Francisco Bay Area artist and educator. For most of the past 20 years she has been a high school classroom art teacher as well as an instructional coach and curriculum developer. (integrating Art, Science, and Literacy …STEAM!). Formerly with San Francisco Unified School District (SFUSD), Kim now teaches Art1 and Digital Imaging at Washington High School in Fremont Unified School District (FUSD). She has contributed to the development and dissemination of secondary art and integrated curriculum for KQED’s as well as several Bay Area museums. A practicing artist, Ms Campisano works in interdisciplinary media and installation. She received her Master's Degree in Fine Art from John F. Kennedy University and lives in Oakland with her husband, Jason and rescued Pit Bull, Dumpling. Chris Sloan teaches high school English and media at Judge Memorial in Salt Lake City, Utah. A doctoral candidate in the hybrid Ph.D. program in Educational Psychology and Educational Technology at Michigan State University, his research focuses on student motivation and digital composition. He has been a teaching consultant with the National Writing Project since 1993. Maria is a high school science teacher with over twenty years of classroom experience. In addition to her classroom work, Maria is a Teacher in Residence at UC Berkeley, a member of the CTA-Stanford University led Instructional Leadership Corps, and recently finished a year long position as an NEA funded Better Lesson Master Teacher in Biology Fellow. You can see many of her standards based biology lessons on the BetterLesson website. Rebecca Newburn is a middle school science and math educator interested in developing solutions to the human impact on our ecosystem. She was the video talent for a national algebra project after being discovered on YouTube, where she won 19 awards and Greatest Do-It-Yourself Guru status. She co-founded the Richmond Grows Seed Lending Library and created it as a replicable model, which helped launch hundreds of seed libraries globally. Passion for biodiversity inspires her teaching. The Galaxy Explorers at Chabot Space & Science Center are a group of youth volunteers who educate, explore, and share science with the public through interactive demos, special projects, and community partnerships. Chabot’s mission is to inspire and educate visitors about Planet Earth and the Universe through exhibits, telescope viewing, planetarium shows, interactive programs, and engaging experiences to connect visitors with the earth and environment, astronomy and space travel. Chabot’s education programs promote STEM literacy skills needed for a 21st-century society and workforce. Janelle Kim is the Engagement Specialist at KQED. She coordinates all aspects of KQED’s educational conference and event participation. 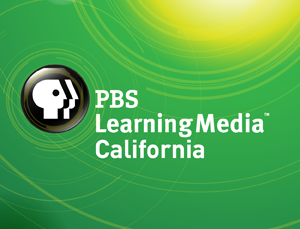 She also manages KQED’s Media Literacy Innovator Program, a cohort of teacher leaders who utilize KQED Education’s resources and champion media literacy education in their schools, districts and communities. Prior to KQED, Janelle has held event and community management roles at HarperCollins Publishers and SCS Global Services, an environmental sustainability certification body. Throughout the course of her twenty years of teaching, Darcy Salvadore has taught all levels of high school English. Currently, she teaches at Los Osos High School in Rancho Cucamonga, California. She puts her students in the driver’s seat of their education and views herself as a facilitator of learning rather than a dispenser of information. She is involved in instructional leadership on her campus and in her district. Darcy is part of the original cohort of Technology Lead Teachers and she presents on using social media as an instructional tool, among other technology based topics, at her school, district, and beyond. Darcy uses KQED Teach resources in her classroom to build social and media literacy, improve reading and listening skills, and to help her students become creators of media rather than consumers. David Cutler is a dedicated independent school teacher at Brimmer and May, an independent school in Brookline, Massachusetts, where he teaches United States History, Latin American History, United States Government, and Journalism. A 2013 Teacher of the Future for the National Association of Independent Schools, Cutler’s writing about education has appeared in Edutopia, The Atlantic, PBS NewsHour, and Independent School Magazine. Cutler attended Brandeis University as an undergraduate with a major in History and minors in Latin American Studies and Journalism. He holds an M.A. in Comparative History, also from Brandeis. Follow him on Twitter @SpinEDu. Sarah Kesty teaches special education at a middle school in Chula Vista, CA. She is a passionate advocate for people of all abilities and a proud author of the celebrated children's book, "Everyone Has Something: Together We Can." Sarah writes and speaks for CARS+ (California Special Educators) and the Latham Foundation. She is on the Advisory Board for the Charcot-Marie-Tooth Association, helping parents navigate the school system for children with CMT. Sarah loves researching and innovating, and she specializes in executive functioning, ADHD, and Learning Disabilities. She lives in San Diego with her husband and rescued cat. Nicole Naditz, a PBS 2016-2017 DigitalMedia Learning Innovator is a multiple award-winning Google Certified Innovator and National Board Certified Teacher of French language and culture at Bella Vista High School near Sacramento, California. In addition to teaching, she is a sought-after keynote speaker and facilitator of professional learning. She has also served as a full-time support provider to newly credentialed teachers across the preK-12 curriculum. In addition, she is on the leadership team of the Capital World Language Project and she was appointed the state’s Instructional Quality Commission, the primary advisory body to the California State Board of Education. Founded in 1935, SFMOMA was the first museum on the West Coast devoted to modern and contemporary art. From the outset, the museum has championed the most innovative and challenging art of its time, and we continue to exhibit and collect work by both modern masters and younger, less-established artists. By embracing the challenge of the new and unexpected, we hope to encourage fresh ways of seeing, thinking, and engaging with the world. Supporting teachers with the critical resources to integrate arts education into their classroom is a priority for SFMOMA. The Museum's School Initiatives Division aims to provide teachers with what they need to make art an important and integral part of learning for all students. I spend half my time teaching 8th grade science at The Nueva School in Hillsborough, CA, and the other half as "Science With Tom", making YouTube music videos and performing at public schools throughout the Bay Area. To hire "Science With Tom" to make a video or do a workshop or live show at your school, you can contact me here. Logan Silva grew up in amidst the redwood trees and orchards of Mendocino County. His educational experiences have included a one-room schoolhouse in the hills, Mendocino College, Cal, Dartmouth, Yale and Stanford. Over the past eight years Logan has taught nearly every subject to students ranging from seventh grade to community college, and during that time committed himself to studying the art and craft of teaching. Learn more at logeducation.home.blog. Joel Malley teaches English 9, AP Literature and Composition and a senior English elective entitled Digital Writing Workshop at Cheektowaga Central High School, just outside of Buffalo, NY. His Digital Writing Workshop is a PBS Newshour Student Reporting Lab. He has been a teaching consultant with the National Writing Project since 2003. Using the standards and resources of PBS’s NewsHour, PBS NewsHour Extra provides students and teachers with quality educational resources based on current issues and events. Samantha Paoletti is an English teacher and Reading Specialist who teaches in a private school on the south side of Chicago. She currently teaches a World Literature class for students with learning difficulties and a public speaking course. Her favorite part of her job is coaching a competitive Speech and Acting Team. Her educational philosophy centers around encouraging students to find what they are passionate about while writing and creating in real world situations. Nate is an Innovation Department Teacher and Instructional Coach at Flint Hill School. He teaches classes on the internet and social media, and he speaks at schools and conferences to promote "passion-based learning through social media." To Nate, social media represents a valuable, under-appreciated tool to develop curious and insightful lifelong learners. His instruction trains savvy, informed and responsive digital citizens—those who learn online and are understood as such by building robust digital portfolios. Maria is the Online Learning Manager for KQED Education and spends her life designing learning experiences that make thoughtful and meaningful use of technology. She is always on the look out for great stories. James Fester is a technology integration support specialist at Hill-Murray school just north of St. Paul, MN where he helps both teachers and students use technology more effectively. He holds many certifications including Google Certified Innovator and Common Sense Media Ambassador. During the summer he works as an independent consultant in the areas of educational technology and as a member of the Buck Institute for Education's National Faculty help schools and teachers strengthen their project-based learning practices. Jeremy Hyler is a middle school English and Science teacher at Fulton Middle School in Michigan. He is a teacher consultant for the Chippewa River Writing Project and vice-president of The Assembly for the Teaching of English Grammar (ATEG), an affiliate of the National Council of Teachers of English (NCTE). Hyler has co-authored Create, Compose, Connect! Reading, Writing, and Learning with Digital Tools (Routledge/Eye on Education, 2014) with Dr. Troy Hicks as well as from Texting to Teaching: Grammar Instruction in a Digital Age. Meghan Selway began her education career working with elementary school students in after school programs, as director of an educational learning center and teacher of English as a Second Language in Vietnam before becoming a high school teacher in Social Studies and English for the past 15 years. Meghan has created and implemented lessons on embedding Common Core in content-subject areas and continually integrates different teaching and learning methodologies into curriculum to enhance student learning. Ben Varvil is in his tenth year teaching high school in the Bay Area. He received a Mechanical Engineering degree from Purdue University in 2003 and was an engineering sales consultant for five years before transitioning to the world of education. As a lifelong maker, builder, experimenter and learner, Ben thrives in his current role of Engineering Instructor at Sir Francis Drake High School where he teaches introductory, intermediate and advanced level engineering courses. Jolivette Mecenas is a visiting professor of English at Cal State University Los Angeles, and faculty at the University of La Verne. She has been teaching college writing and rhetoric for the past 17 years, and also directs writing programs. She loves to support other teachers and public media. She also loves geeking out with her seven-year-old son to comic books and Harry Potter. Jessica, an Oakland native, joined KQED in 2004 for the early stages of QUEST. She has always had a passion for science and holds a Bachelors of Science in Evolution and Ecology from UC Davis. After a stint in the education department at the Sacramento Zoo, she fell in love with science education and completed a single subject teaching credential in Biology and General Science at Mills College. She taught high school science at San Lorenzo High School where she served as Science Department Chair. In addition to working on QUEST, Jessica ran the national educational outreach for the first season of Jean Michel Cousteau: Ocean Adventures. Jessica currently supports KQED Education and QUEST remotely from her home in Oregon. Leasa Graves has been an educator for the past thirteen years teaching grades K to adult. She currently works as the lead teacher at the Santa Rosa Youth Connections, a John Muir Charter School that serves students from the ages of sixteen to twenty four year old who have returned to earn their high school diploma. As an educator, Leasa is committed to supporting students in their educational journey and seeks to provide authentic learning experiences that empower and inspire her students. Florence Whisenant teaches Art & Photography at Napa Valley Independent Studies (NVIS). She graduated from California College of the Arts. Outside of teaching she is involved in making ceramics, drawings, & book arts. Recently she served as an Art Jurist (2 year term) for the Napa City/County Library for their Art Gallery. Heidi Suburu has loved teaching for 34 years. She has taught Kindergarten, first grade, fifth grade, and sixth grade. She loves challenges and has high expectations for her students and herself. She loves learning new information and enjoys sharing it with her students and colleagues. She currently teaches Kindergarten at Endeavour Elementary School. Working out and staying healthy is one of her passions. She is also a health and fitness consultant and a personal trainer. She has helped write curriculum for the incredible company, Starfall.com. In addition to loving teaching in all capacities, she adores her family and her adorable grandchildren. Jennifer Dean is a Google Certified educator, Google Certified Trainer and Seesaw Ambassador who loves teaching. She has taught Transitional Kindergarten, Second Grade and now First Grade. Jennifer has an M.A in Early Childhood Education and an M.S in Instructional Technology. She was the CUE 2018 Regional Winner of the Outstanding Teacher of the Year Award, and loves presenting and teaching. When Jennifer is not working she is traveling, spending time at the beach and hanging out with her family, including her Cavalier King Charles Spaniel who is on Twitter! Julianna Cecere is a Digital Media Intern for KQED Education. She studies Broadcast and Electronic Communication Arts at San Francisco State University. In her free time she likes to paint and dance to funky music. Jayne Lecky is a curriculum writer, mentor and high school science and art teacher at San Ramon Valley High School. She wants to live in a world where science literacy is mandatory, staff meetings can never be over 59 minutes, and everyone carries a notebook and colored pencils wherever they go. As a KQED Teacher Ambassador, she has furthered her knowledge and sharing of pragmatic professional development, where tech, inquiry, and creativity combine. Jayne genuinely loves being asked questions by all people, young and old, as long as they raise their hand first. Follow her on Twitter @mrslecky.